This book has been flying across so many platforms that I had to see what all the fuss was about. I am really glad that I did too because it was so so so much fun to read. 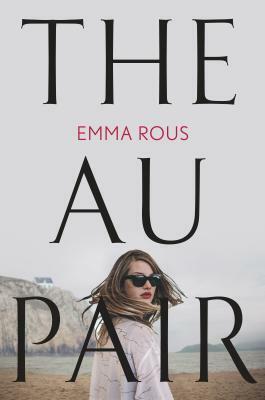 What I really appreciated about this book was that while it was really enjoyable to read, the story is still complex enough that I had to pay attention to it. It sucked me in and I read it in a single day. I'm not going to lie, I was slightly confused as to what was happening at first because I didn't read any synopses or covers or reviews or anything. I went in completely cold turkey. It still worked though after awhile, which I think is a real credit to Claire Legrand for being able to write in that style successfully. 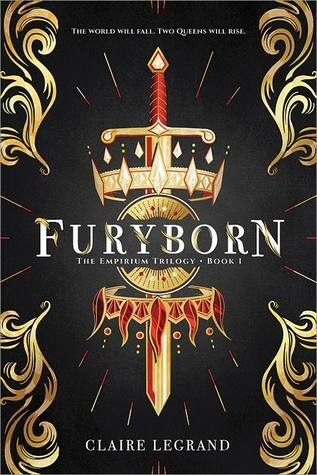 For those of you who do want to have an idea of what is going on before you read, Furyborn is an angel book. Yes, I am classifying it in that category that (in my opinion) has sort of fallen off track since the Hush, Hush and Fallen phase of YA lit. Please note, I'm not counting Cassandra Clare's books in that because they are in a league of their own. But I haven't read any really strong angel books in awhile, and that is definitely a key point to this series. Rielle and Eliana each have their own specific plot-lines, broken up with alternating chapters. As the book moves along, they each learn in their own time their own power and potential with the empirium, the magical source that flows through their world. Even though they are in different times, their plights are similar and they both have a role to play in a larger story of war and threats. If you read the acknowledgments, you'll find that the conception of this story happened fourteen years ago. With that much time, it is no surprise that this book was this good. I really hope it also means that the next two books will be just as amazing and have even more twists and turns than this one. I cannot wait to see where this series goes and it is so great to have another series with angelic beings. I've missed them. Furyborn is also just a good book in general, so if angels are not your thing, you'll still probably really like it.